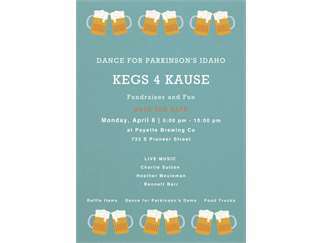 Kegs 4 Kause "A Fundraiser and Fun" supporting Dance for Parkinson's Idaho on Monday, April 8th from 5:00 - 10:00pm. 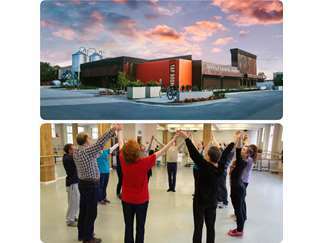 Thanks to Payette Brewing Co, Dance for Parkinson's Idaho will receive 50% of the proceeds from beer sales on this one night only! Come grab some beers and cheers to a good cause, Dance for Parkinson's Idaho! We will have live music from Charlie Sutton, Heather Meuleman and Bennett Barr, fun raffle items, a Dance for Parkinson's demo and a food truck on site. Bring your friends and family and come support Dance for Parkinson's Idaho! No dancing required!